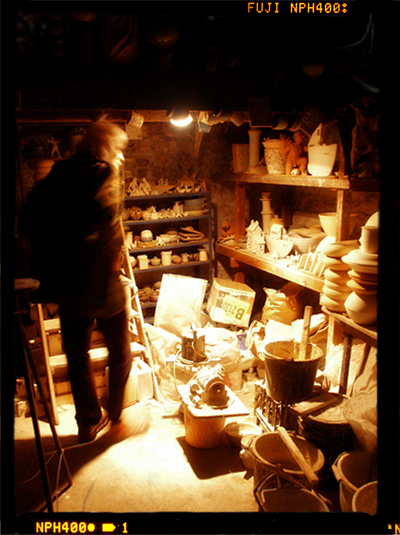 Here’s an image of the kiln room. Hi there, I’m trying to work out the makers of some ceramics that bear the name of your studio but aren’t your name – it is stamped on the bottom of a jug and 6 straight sided cups, but I can’t work out the name – Stockl? Does that ring a bell at all? I’ve searched all over the place but there doesn’t seem to be any history online before you took over in the mid70s. Would be very grateful for your input! Thanks! Worked at Claypits about 40 yrs ago.He was here about 7yrs. Died in 2017 in Scotland.